In today’s post, we are sharing with you two more resources to help you with the teaching of writing. The first one is a tool from Readwritethink to use with students in class to help them learn and practice letter writing (both formal and informal types of letters). The second is a resource from Scholastic where you can access a plethora of educational materials to help you teach different writing genres. For more writing tools and apps, check out this page. 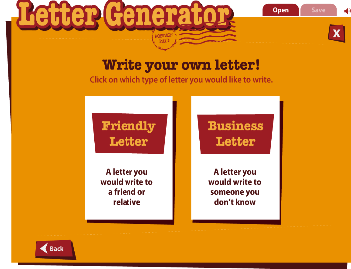 This is an excellent web tool from Readwritethink to use with your students to teach them about letter writing. Students get to learn about the different constitutive parts of a letter and practice generating their own letters. More specifically, students will learn how to write two types of letters: friendly (informal) and business (formal) letters. The process is very easy: they simply select one of the two templates and typing in their information as instructed. They have to fill in fields such as heading, salutation, closing, signature…etc. Once their letter is ready they can save a copy, share it through email or print it out. This is absolutely a must have resource for language teachers. 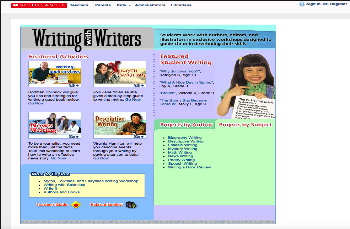 Scholastic’s Writing with Writers provides a wide variety of resources, educational materials and workshops to help students learn the craft of writing. They will also get access to a number of interactive tools to practice writing different compositional genres. There are 9 main writing categories to choose from: biography writing, descriptive writing, folktale writing, myth writing, news writing, poetry writing, speech writing, and book review writing. Clicking on each of these categories will take you to a page where you can access more resources related to it. In ‘Featured Student Writing’ students will get to see samples of writings composed by students from different grades.